If you were asked to build a small, Internet-connected network from scratch, what would you need to do? Network cables to connect devices to the switch, etc. 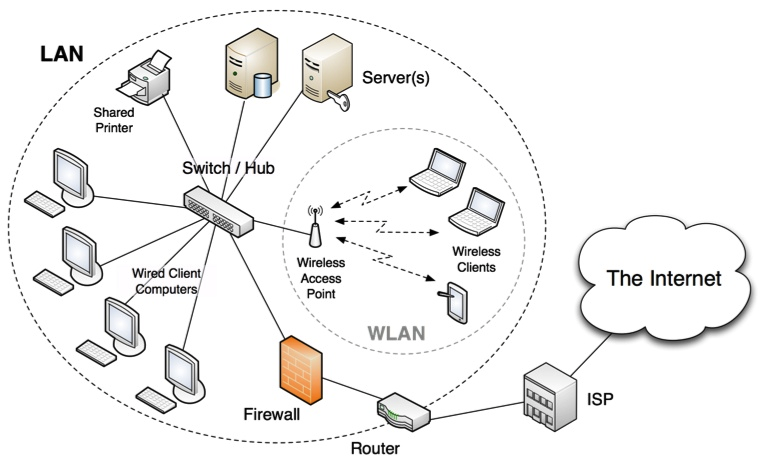 For any network that is more complex than a small home network, there is alot to do. Networks are pretty complex thing to set-up. The people who do this are called Network Engineers. It's a very interesting technical job, if you like that sort of thing!